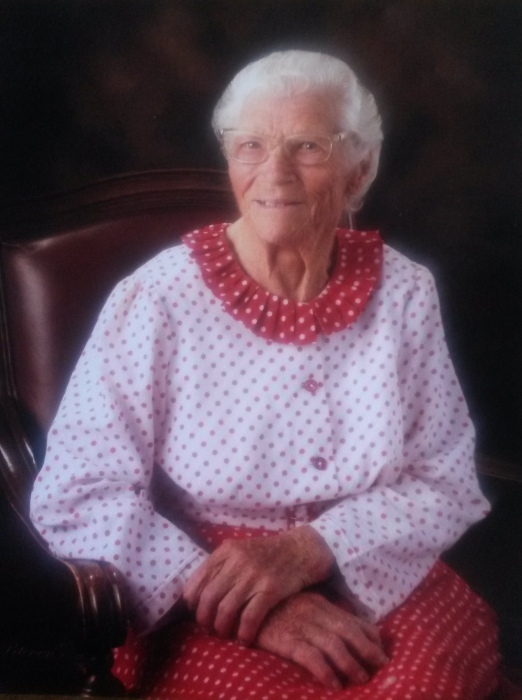 OAKLEY, IDAHO – Elizabeth Venola Lloyd Archibald, 98, died Wednesday, Jan 9, 2019, at the home of her son, in Oakley, Idaho. Venola was born September 9, 1920 in Almo, Idaho, daughter of Willis Jacob, and Mary Ann Bowen Lloyd. She had 8 brothers and one sister and lived in a two story log home. 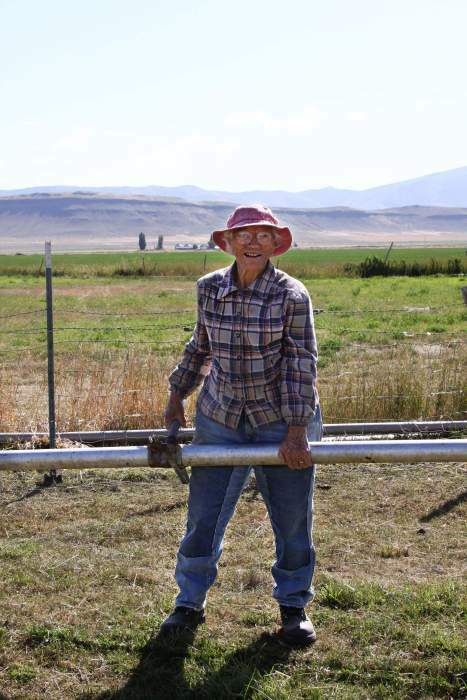 She attended schools in Almo and in Burley, Idaho. She met a redheaded fellow at a dance and decided he was a keeper. Robert H. Archibald and Venola were later married on February 20, 1940, in Oakley. 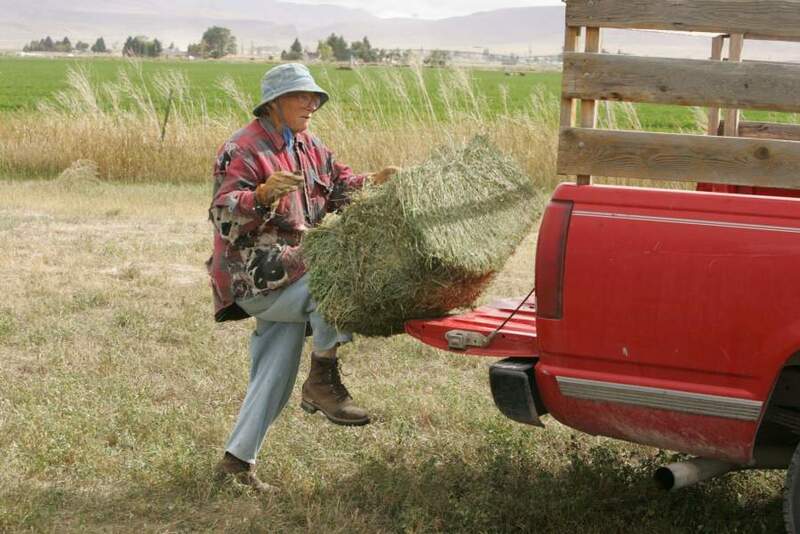 They worked on several ranches in Nevada for the Utah Construction Company, where Venola cooked for the work crews. They eventually settled in Oakley where they raised their three sons, Ronald, Tim, and Ray. Venola and Bob loved their little home in the Oakley valley and worked hard to grow a garden, raise an orchard, and take care of their farm and livestock. Venola later took on a job at Ore Ida and retired from it 27 years later. She met many lifetime friends there. She was an active member of the Church of Jesus Christ of Latter-day Saints where she loved teaching Primary and helping with Girls Camp. She also served 25 years in the extraction program. Venola loved life and always kept her hands busy. She canned fresh fruits and vegetables, made her own bread and jams, butchered her own chickens, hauled hay, went to the hills for firewood, sewed her own clothes, knitted, crocheted and quilted. At last count she had made 80 quilts for family members over the years. 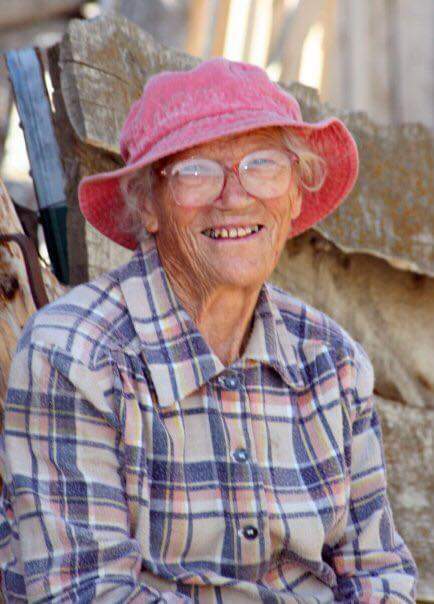 She loved riding horses and taking care of her animals. Venola was never too tired to get out her chainsaw and go cut a tree down. If a storm blew a tree over, she was anxious to get it cut into firewood. She was using a chain saw just this past fall! Survivors include her sons Tim (Karma) Archibald, and Ray (Cheri) Archibald, both of Oakley, Idaho; 13 grandchildren; 52 great grandchildren; 2 great great grandchildren; and one brother Zon (Martha) Lloyd of Pablo, Montana. She was preceded in death by her parents Mary Ann Bowen and Willis Jacob Lloyd; her husband, Robert H. Archibald; two sons, Donald Robert and Ronald L (Margaret) Archibald; seven brothers and one sister. Funeral services will be held 2:00 p.m. Saturday, Jan. 19, 2019 at the Church of Jesus Christ of Latter-day Saints in Oakley, Idaho. Friends and family may call one hour prior to the service Bishop Ryan Hawker officiating. Services will conclude with burial in the Oakley Cemetery under the direction of Morrison Payne Funeral Home of Burley.